Following a ready bad day for our future yesterday I'd like to share some really good news we had this week. Some time ago I learned that planning permission had been sought to erect a number of flats on the land behind our house. I wrote about it here. 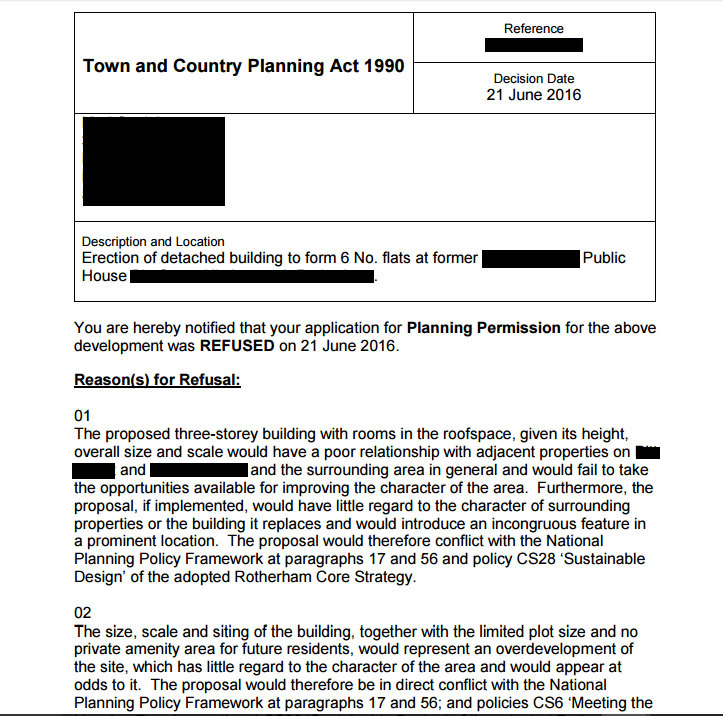 This week I learned that the planning has been REFUSED! I can't express the relief I feel at this news. It looks like the council agreed with mine and my neighbours concerns. 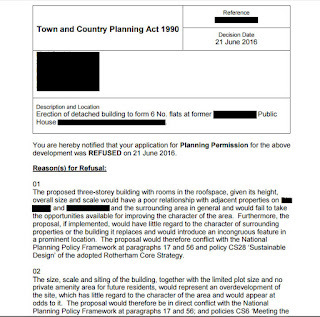 They used similar wording to what I'd put in my objection like 'over development' etc. So now the land stays empty until the owner can come up with more acceptable plans. While they do I'll continue to enjoy the lovely view over the Don Valley. 1606.08 DO I STAY OR DO I GO NOW?